These fee payments can now be processed electronically via the Loveland Music Boosters website and PayPal. Click on the link below to go to the Loveland Music Booster site. 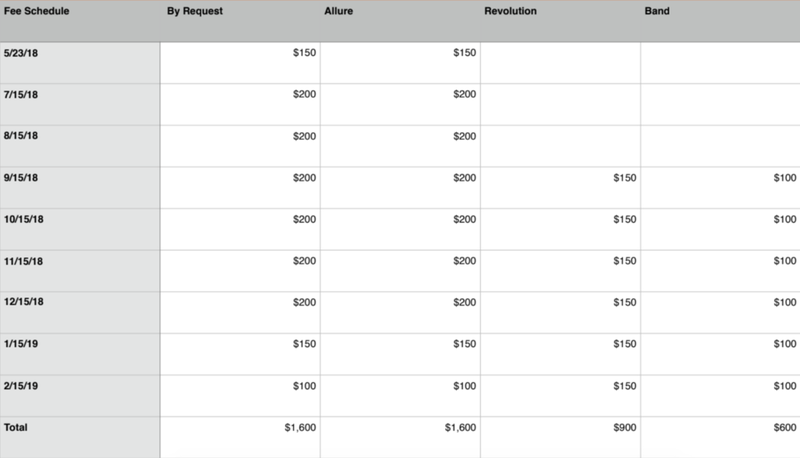 When on the LMB page select the proper group (By Request, Allure, Revolution or Band/Crew) and payment amount (Full or Partial).